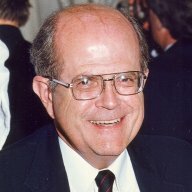 Dr. David J. DeLaura, Avalon Foundation Professor Emeritus in the Humanities, died on April 9, 2005. Dr. DeLaura was 74 years old. He died of a heart attack while on holiday in Portugal with Ann, his wife of 44 years. Dr. DeLaura received his Ph.D. from the University of Wisconsin, and taught for over a decade at the University of Texas, Austin. He came to Penn in 1974 and retired in 1999. His scholarly distinctions included fellowships from the John Simon Guggenheim Foundation and the National Endowment for the Humanities (NEH). In a scholarly career that spanned more than 40 years, Dr. DeLaura published a number of books and articles on such major figures as Matthew Arnold, John Henry Newman, John Ruskin and the Brownings. His research had a major influence on the field of English Victorian literature and culture. His essay, “Arnold and Carlyle,” won the first William Riley Parker Prize of the Modern Language Association for an outstanding article. In 1998, he won the Ira Abrams Award, the highest teaching prize conferred by the School of Arts and Sciences (Almanac April 14, 1998). He also received the Mortarboard Award for teaching. Dr. DeLaura was eloquent in affirming the centrality of the humanities in American education. Among other regional and national assignments, he served from 1976 to 1979 on the Executive Committee of the Modern Language Association (MLA), the major professional organization in his field. At Penn, Dr. DeLaura served with distinction as chair of the English department, and as University Ombudsman from 1993-1997. Along with his wife, Ann, Dr. DeLaura is survived by two sons, Michael and William; one daughter, Catherine; and two grandchildren. A memorial service will be held at the University on November 18th, 2005. Rajani Iyer "'My Soul Was Singing at a Work Apart': Female Victorian Poets Achieving Voice"
Aselda Thompson "New Women, New Mothers: The Conflict of Feminism and Motherhood in Late-Victorian Fiction"
Anjali Arondekar "A Perverse Empire: Victorian Sexuality and the Indian Colony"
Vivienne Rundle "Framing the Reader: Responsibility and Design in Victorian and Early Modern Narrative"
Hilene Flanzbaum "Balancing Act: Robert Lowell's Impossible Career"
Jennifer Green-Lewis "Signs of the Things Taken: Reading, Writing and the Nineteenth-Century Photograph"
Maureen Corrigan "Medievalism and the Myth of Revival in Nineteenth and Twentieth-Century Thought"
Elizabeth Cox Juckett "Thackeray and Carlyle"
John C. Hawley, S.J. "Charles Kingsley: The Polemics of Art"
Joyce Zonana "The Muses in Modern Poetry: Nineteenth and Twentieth Century Transformations of the Classical Tradition"
Charlotte Bonica "'Modern' Love in the Novels of Thomas Hardy"
Richard Dowgun "Tragic Theory from Coleridge to T.S. Eliot"
Joanna Shaw Myers "Mrs. Humphrey Ward's Literary and Historical Importance: An Analysis of Helbeck of Bannisdale"
Kelly S. Reed "Music in the Art and Thought of Robert Browning"
Nancy R. Wicker "The Golden Echo: A Study of Hopkins' Philosphy, Poetics, and Poetry"
John J. Dooling "The Late Victorian Novel of Culture"
Keith Reierstad "The Demon in the House; or, the Domestication of Gothic int he Novels of Wilkie Collins"